If you are still trying to figure out what the Original Bitcoin Fork with Bitcoin Cash (BCC) was all about or What is Bitcoin even is then please watch these videos before proceeding. A discussion on Bitcoin without understanding the Basics of the Traits of Money would be pointless so we are starting a primer for the Beginners. Otherwise, if all of that was old news to you then you are ready to understand what the new BitCoin Gold Fork is about. What is Bitcoin Gold (BCH)? 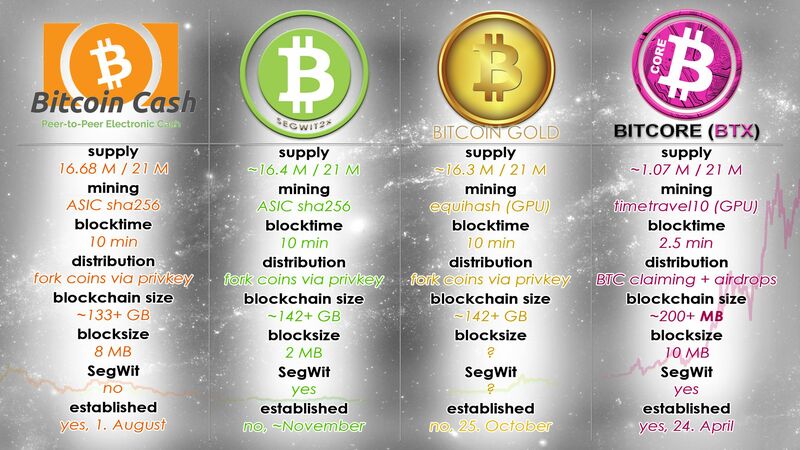 Bitcoin Gold Fork is an attempt to move Bitcoin Mining away from ASICS (Application Specific Integrated Circuit) based Miners to GPU (Graphic Processing Units) based Mining and is an attempt to return Mining Power away from large scale Miner Operations to more Home based computer Users and in theory return Power back to the little guy for which Bitcoin was originally founded by Satoshi’s Whitepaper. The Hard Fork is slated for November 13, 2017. Coinbase’s current priority is to add support for Segwit2x, followed by Bitcoin Cash. We will continue to monitor the development of Bitcoin Gold, and if its network proves to be both secure and valuable, Coinbase may decide to support it at a later date. Forks or changes to the underlying software to the Digital Crypto Currency that created different Blockchain versions are for Bitcoin both part of its Strength and also something that allows such changes to be done so readily and without broad consensus from the Community of Users or Developers or Miners. There is another Fork coming with Bitcoin called Segwit2x (Segreted Witness) and will be will discussing that is future posts. Stay tuned as there are more Forks to come as the Dominance of Bitcoin grows.